KIEFER Ravena is set to suit up for Alab Pilipinas in the Asean Basketball League (ABL), head coach Mac Cuan confirmed to SPIN.ph on Wednesday. The former Ateneo star will join the Philippine-based ABL side coming off his stint with Mighty Sports in a tournament in Dubai, where he injured his hand and missed the team's last game. Ravena will allow the injury to completely heal before beginning workouts with Alab, although he has already been added to the team's roster in time for the league deadline for new signings last Monday, Cuan added. Ravena’s signing is expected to be a big boost for Alab, which lost two straight road games in the ABL while top star Bobby Ray Parks, Jr. is struggling with a shoulder injury. 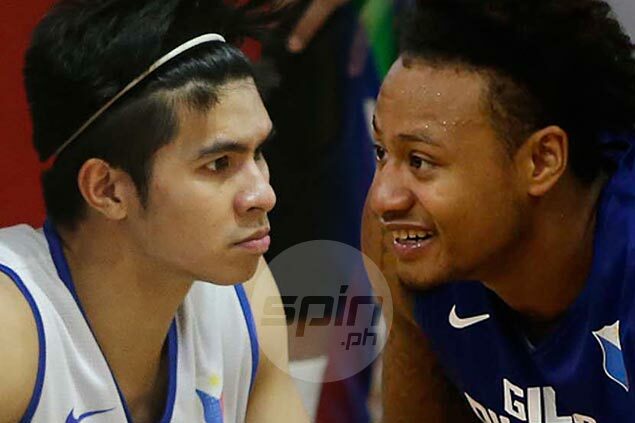 UAAP rivals Ravena and Parks last played together in the Gilas Pilipinas pool to the 2016 Fiba Olympic qualifiers, where Parks made the final lineup of former national coach Tab Baldwin. Following his stint with Mighty Sports in Dubai, Ravena returned to the US to rejoin NBA D-League side Texas Legends, where he is a developmental player, Cuan said. The versatile guard will join the team’s practices as soon as he returns and gets clearance from doctors on his injured hand, added Alab co-team owner Charlie Dy. “Injured lang and he is out for two weeks so he’ll practice once cleared na,” Dy said.